Unable to keep up with demand for a new product one of ICW's long term customers was looking to outsource sub -assemblies. When ICW were asked to offer pricing to sub-contractors it was only logical to offer to help. 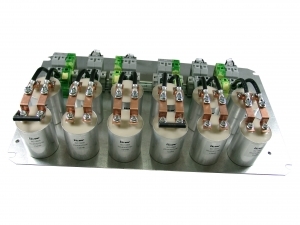 The capacitors made up 80% of the panel's material cost and ICW's experience and understanding of power electronics applications ensures tight control of critical materials and assembly parameters is maintained. The biggest payback was ICW's ability to maintain the 4 week lead time for the completed panel assembly, eliminating 1-2 weeks from the supply chain!